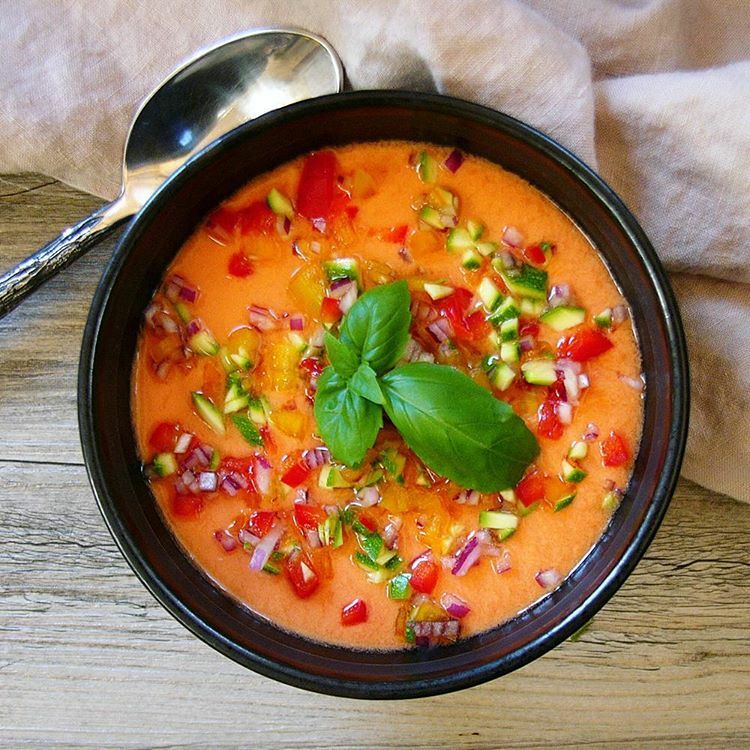 Raw Gazpacho is a wonderfully alkalizing soup and perfect for hot summer days. Blend all the tomatoes, olive oil, cucumber, onion, garlic, salt, and water together until smooth. Using a sieve with a bowl underneath, pour the tomato-blend into the sieve and push through the pulp to strain. Pour the filtered soup into a pitcher or jug and chill until ready to serve. Top with any finely chopped vegetables, if desired.